Do you work for CentOS? Learning about CentOS? We can help. "Good operating system for websites"
It took off our integration issues with old PBX systems and allowed us to have control over our call center project and the campaign developed to apply different apps to deliver BI reports from every level. "CentOS - Great for Red Hat sans Support"
CentOS is easy to setup and get running within 15 minutes. With minimal searching in Google... you can get help with the setup / troubleshooting of a multitude of uses. We use CentOS for our development environments, load balancers and DB servers. Both for physical servers as well as virtual ones. Performance is great given the price (free). Never had a full on crash either... even after weeks, months and in rare cases years between reboots. CentOS can fall behind slightly when it comes to patching of bugs. For critical systems this can be a concern. But you probably would go with the supported RHEL version if your environment requires security patching to be high priority. CentOS is great for customization (especially if you use the command line as opposed to the GUI). However, when installing new software it can be daunting to ensure everything goes where you want it to. Settings, Log Files and core components can get spread around all over the place if you're not careful. It free so if you're a Linux expert or someone just starting out... it's worth giving it a look. Almost anything written for RHEL will work in CentOS as well. We are using CentOS for software development, database management and load balancing. Considering the price (free)... it's great not to have to worry about costs when spinning up new servers. Makes our environment immensely flexible as long as we have the VM space. "CentOS para crear un FileServer"
I like CentOS a lot because most of the time I use it is to create a Fileserver in a network. After testing several programs or operating systems I have confirmed that CentOS is the best for these purposes. First of all, its implementation is very economical. Second its configuration and update is super simple and it does not take more than 30 minutes to successfully create a fileserver. Finally, its stability and security is very high. In my particular case I have not had any problems in several years of implementation. Something I do not like very much about CentOS is that the visual part or rather the user interface can get a bit confusing with respect to the other operating systems. I recommend CentOS to anyone who wants to venture into the implementations of software either security or network as CentOS is a very secure platform for these purposes. "A super-reliable free Linux server distribution"
For a server installation, CentOS is hands-down the best. "Sistema operativo principal para sistemas vitales." - Es muy fuerte - Muchos repositorios y paquetes para cualquier programa de software. El supervisor de paquete tiene el máximo del software que desea ejecutar el dispositivo e incluir depósitos adicionales es sencillo. Centos es de primera clase excepcional y al igual que con la mayoría de los sistemas para cumplirlo. Llegó aquí en tres modelos principales. La seguridad es máxima. Ciertos aditivos pueden no estar disponibles de manera adecuada. La GUI es minimalista y puede ser más alta para los clientes finales. Ahora no estoy tan familiarizado con el dispositivo RPM, proveniente de las distribuciones totalmente basadas en Debian en mi último proceso . La GUI es minimalista y puede ser más alta para los clientes finales. Puede ser un poco lenta para aprovechar las variaciones contemporáneas del programa de software, pero esto es más a menudo debido a la necesidad de mantener la seguridad y la integridad. Tenemos varios servidores web que ejecutan varios servicios para nuestra organización. Fácil de poner y usar, pero aún así obtener el beneficio de RHEL. He utilizado Centos AMI en AWS considerando la versión 5. Permite la instalación de su propio panel de CWP totalmente gratis y eso lo hace rápido y fácil de entender. paquete de paquetes de archivos. Es un dispositivo operativo de servidor y no es adecuado para ser utilizado como una máquina operativa de computadora portátil. Nada de lo que es la falla del sistema operativo, mi revelación en Linux está limitada. Por mi parte, selecciono Fedora si tengo que usar la distribución de Linux de rpm. repositorio auténtico y, por lo tanto, quiero agregar un repositorio adicional, que en realidad no me gusta hacer porque 1/3 repositorios de partes no se mantienen además de los legítimos. CentOS tiene un equilibrio notable que me permite mantener mi% 99 principalmente para servidores, no tanto para equipos de escritorio CentOS es una gran oportunidad basada en Linux. Puede ser positivo para que se prolongue durante años sin problemas y de manera cómoda. En los modernos, CentOs tiene mucho menos insectos y más sólidos. Creando clientes y agencias. Hubo bastantes áreas con las que me he vuelto inusual, pero estoy ejecutando los problemas que utilizo como sistema operativo principal en todos los servidores de prueba y fabricación. Lo usamos como el sistema de trabajo principal de la granja completa de servidores, en casos máximos como virtualizado. OS en XEN En realidad lo he usado como dispositivo de trabajo en vmware, una vez que me pidieron las necesidades para la introducción de servidores de red, servidores proxy y servidor de correo, debido a su parecido con pink hat es un dispositivo de trabajo muy solicitado por el uso de programadores de red. .
CentOS is just like RedHat but free. It’s reliable and easy to install or implement. There are repositories available where you can download additional packages. Using CentOS will allow you take advantage of RedHat's packages and already established support community. It’s efficient for small and medium businesses. We have been running our web applications on CentOS Linux servers for some time. Sometime it takes too long for them to respond and fix reported issues. Redhat and most of other operating systems have better technical support. Its slow release cycles also make it fall behind other Linux based Operating systems. Definitely I would recommend it to someone. It’s an awesome and cheap solution for your web application hosting. We have always used CentOS servers to run our web applications. It’s stable, high performance, free and easy to implement. This is what makes it a convenient server for the most of us. CentOs is a stable and a high performance Linux operating system to host web applications on. It’s compatibility with other Redhat packages and systems is another good thing about it. CentOS is also reliable, robust and don’t need paid subscription like Redhat. CentOS is lightweight and easy to implement. CentOs release cycles take long- just like time taken to resolve or fix issues. Another thing worth to mention is that if you are windows user and want to migrate your web application to CentOS linux server you will have to familiarize with Linux commands and command line. I would recommend it to someone. It’s just like RedHat but free. Take advantage of the already vibrant RedHat community. We use CentOS linux servers to host web applications. It allows us to develop, test and run web applications in production. It’s easy and cheaper to implement. Es una de las mejores distribuciones para poner en producción y desplegar aplicaciones, ha sido muy estable y ligero. Los comandos que hay que usar son un poco diferentes a la distribuciones basadas en en Debian, toca estudiar un poco para saber donde están las cosas para ejecutarlas y activar los servicios. "CentOS - Secure | Fast | Reliable - One of the most advanced Operating System"
CentOS is by far one of the most secure operating system. All the tasks are based on permissions and without permissions, no task can run. So say no to Viruses and Malware. Centos is also one of the fastest operating system. One of the key reason for this is that the 99% of the tasks within CentOS remain sleeping and when we want to use any application/ task, the system on the spot turn on the task making the resources of the operating system free for all the ad-hoc tasks. There is no con as such for this operating system. The only thing that can be started is that the company can start a small team which can help users worldwide in case of any issues. However, a wide amount of forums/ pages are available on the internet but still sometimes debugging an issue can take time which can be reduced if someone is available for help. CentOS is by far one of the most reliable software. Go ahead and deploy this system in your organization so as to make your applications/ systems efficient and virus-free. CentOS has widely helped us in increasing the efficiency of our products. CentOS made our applications crash free and Virus free. We don't even require Anti-Virus software on our systems as the system itself is very secure. Most important to us is that the OS is reliable (compiled from RedHat Enterprise Linux), is free, and yum is there for updating or adding new software. On rare occasion there is software we want that is not available through a yum repository. If you need technical support then RedHat Enterprise Linux may be your best choice. Otherwise, I highly recommend CentOS. You can always try it and then switch to RHEL if you need the support. We use a particular database manager that is restricted to a few version of the underling OS. Our clients run a separate server with our ERP software which we remotely manage for them. Initially, we ran Windows server, but found that Linux was more reliable and required less hardware to do the job. In 2001 we began switching server over to RedHat Enterprise Linux. We had a support agreement with RedHat for 3 years and used it one time. We ran without a support agreement a couple of years and then adopted CentOS and never had any regrets. "CentOS is the freeware for RedHat"
CentOS is stable, a much better evolution from Debian. It is freeware and is supported on all clouds including AWS and Google Cloud. It has a good user interface and good set of graphics libraries. Good support community, matching SUSE, good encryption support. Will need to migrate to RedHat Enterprise for graphics, 3D and media support. Still multi-user and rooted, in this era of multiple computers per person, not particularly suitable for personal computing, where a spectrum of new operating systems are coming soon. CentOS is a stable system, I have used RedHat for two decades now and CentOS is the free version of RedHat and is available on AWS and Google Clouds. If you are unhappy with XWindows , you could migrate to a mac cloud or Azure, but CentOS promises high performance at no cost. Good value for freeware. Using CentOS for medical records on AWS and CDSS integration. "CentOS: The Best Free Linux Solution for Servers"
CentOS is a repackaging of the open source portion of RedHat Enterprise Linux. It is compatible with almost every software package released for RHEL. It's also community-supported, meaning that patches are released in a timely manner. Did I also mention that it's free? If it breaks, you get to keep the pieces. Since there is no vendor, there is no official support for the product except from 3rd parties. However, the CentOS user community is very large and I've seen few problems that couldn't be solved by a seasoned Linux admin and/or Google searches. If you need support (or a wringable neck when something breaks) consider Red Hat Enterprise Linux. Remember that you're paying for a product that you could essentially get for free. However, by buying RHEL, you support continued development of the OS itself. It's your choice. Almost all of our production infrastructure runs on CentOS. "CentOS will help you to sky rocket your Open source infrastructure!" Centos is great for those IT admins that are involved placing VoIP solutions like Asterisk or just to deploy File Servers and shared resources among business networks, I really like their mix light weight packages that can be easily deployed. If you're mid to advance administrator with an intermediate knowledge about shell scripts you'll enjoy the CLI version instead of the GUI, for complex and fast apps installation. I really don't like the GUI I've tried using gnome and xfce and none of those are very flexible at the moment to switch out from GUI to CLI, it's just from my standpoint I'd prefer to use CentOS all the way in command line. I also dislike the lightweight version cause some of the preloaded applications like MySQL DB that comes in the full .iso image. I'd recommend to build a decent design of your solution and take the time to deploy your solution. I do strongly recommend to use VMware V-Center or VMware vSphere as your Virtual Manager for your VM instance and it's fully compatible with the 99% of the Hardware vendors that in the top production of digital, analog or BRI cards on the market of PBX free. CentOS led us to minimize TCO over our in house IT infrastructure, mostly cause we perform a virtual deployment of our CentOS server and manage everything on it by using secure key encryption over SSL VPN administration. It took off our integration issues with old PBX systems and allowed us to have control over our call center project and the campaign developed to apply different apps to deliver BI reports from every level. What I like about centos is its performance as an operating system for servers, in addition to the stability and features of this robust Linux distribution of easy configuration for web servers, it has a library repertoire and it has the security of the source packages released from red hat. What I do not like about centos is that in some installations it has caused problems with the network interfaces which I have to do cumbersome procedures for their configuration. my recommendation for other users is if they are going to install versions of mysql see which are compatible with the different versions of centos, so they do not have problems when importing a database. I have used it as an operating system in vmware, when I am asked for requirements for the creation of web servers, proxies and mail server, due to its resemblance to red hat is an operating system very requested by web programmers. "The balance between stability and performance"
It's very reliable to run code, I use to run my research cases during various days and the performance it's okay and the stability it's perfect. Before with Ubuntu in some cases I had some stability problems, solved by CentOs and their updated kernels. mainly its everything okay, but I'm used to use Ubuntu as desktop environment and when I want to run cases in Centos I have to recompile. I'm realize that is not a fault of centos, but it's the only "but" that I can find. To run parallel cases with security of no errors, it's the best option. Also for servers is very stable. Allows me to run cases during long periods with totally stability. "El mejor programa de todos y por diferencia"
Lo que me gusta de CentOS es su rendimiento como sistema operativo para servidores, además de la estabilidad y características de esta robusta distribución Linux de fácil configuración para servidores Web, tiene un repertorio de biblioteca y tiene la seguridad de los paquetes de origen liberado de Red Hat. Lo que no me gusta de CentOS es que en algunas instalaciones ha causado problemas con las interfaces de red que tengo que hacer procedimientos engorrosos para su configuración. mi recomendación para otros usuarios es que si van a instalar versiones de MySQL ver que son compatibles con las diferentes versiones de CentOS, por lo que no tienen problemas al importar una base de datos. Lo he utilizado como sistema operativo en VMware, cuando se me piden requisitos para la creación de servidores Web, proxies y servidor de correo, debido a su semejanza con Red Hat es un sistema operativo muy solicitado por los programadores web. "Good operating system for business environments"
CentOS it's a fork of the historical RedHat, the business unix environment by definition, in consequence CentOS it's stable and powerful like RedHat but with the community behind making it better and free. The best of CentOS aside of the stability and performance, is the speed that the developers include new support for new hardware. Also it's very interesting the integrated firewall that it includes, that it's enough for servers not totally exposed to the net. It's the best option to run in a server, whatever service your need to run, with Centos you will get it up and running stable and without problems. In our company we use CentOS to run some services, like LDAP, Apache for web servers, PHP applications, Java applications, databases, and some CMS. Also we use for the internal servers, to offer to the network services such DNS, DHCP, NTP, and for other tasks like backups and firewalls. "Excelente Sistema Operativo para web"
En mi experiencia comparando CentOS con otras OS basados en Kernel de Linux y orientados al despliegue de aplicaciones web puedo afirmar que es uno de los mejores en su categoría por la fiabilidad y disponibilidad en ambientes online 24/7. A pasar de poderse instalar con entorno gráfico para los usuarios que no son avanzados se les dificulta mucho gestionar la plataforma. Hemos podido desplegar diferentes soluciones web utilizado como base este OS, tenemos tiendas online desarrolladas sobre PHP y Magento. Dentro de los beneficios hemos podido reducir costos ya que para poner en marcha este OS los requerimientos de hardware son muy inferiores a los de otro OS. "Best OS for everyone whether it's casual web development or running Enteprise-grade services"
First, CentOS' LTS versions are production worthy for a number of years. If you look at Fedora, Fedora releases a new OS every six months leaving older versions behind on security patches, updates, etc. With CentOS, you can deploy now and still have up-to-date security patches/updates as well as access to their repos after five years. CentOS is also very stable. I run almost all of my infrastructure off of CentOS and it's also my OS of choice for doing development work. CentOS is perfect; I dislike nothing about it. Switch to CentOS - it's great! When I build a new environment that will host infrastructure services, I wish to use an OS that is stable and something that will be supported for quite some time (security patches and updates). With CentOS, especially with the free price tag - it can't be beat. The best of CentOS is the performance as an enterprise Operating System for linux servers, also it's very stable and reliability. In overall, is the most robust OS based in Linux kernel. It's a fork of Redhat, it means that you can use all packages created for redhat without problems. In overall it's a very good system, but sometimes there are new hardware that it's not totally enabled in the kernel, any you needs to use the last versions of the available kernels. It's allow me and our organization to develop, test and run our codes in a reliability way. "A stable, performant and always updated platform"
Centos is an Linux Operating System derived from the sources of Red Hat Linux, it is a community version of Red Hat without the branding and so it's completely free and open source. It came in 3 main version: DVD ISO, Everything ISO and Minimal ISO., and you can choose between GNOME or KDE Desktop version. So you have the embarrassment of choice. It's easy to install, come with a nice set of preinstalled application. The performance can be much better, the audio and video codec often have some problems and for those who are neophyte it could be a problem. With CentOS you have everything you need to work peacefully, including regular updates, great community, and numerous online help and guides that can help you in which case you have a problem. It's also free and very easy to install as well as easy to use. With CentOS we can use most feature of RedHat Linux but without spending anything, it have all the tool we need and the update are fast and regular. The Operating System is also very Stable. "One of the best Linux distributions"
It is very powerful I am able to do almost all my networking projects on centos. Additionally it is free of cost. CentOS is compatible with other softwares as well. I use Centos on VM in GNS3 and also program it using Python. User accounts management is also easy. One can build networking devices free of cost with the help of CenOS operating system. Not much. According to me Command Line based Centos versions are sometimes difficult for users. I use this mostly for networking and automation purpose. I automate stuff with the help of puppet manifests. I also use this along with other softwares like python, GNS3 etc. "The best Linux operating system"
I like this Linux operating system in my personal opinion is the best OS that exists in the distribution. Centos is super phenomenal and compatible with most systems to implement. It allows the installation of your own CWP panel for free and that makes it fastastico as well as its easy-to-understand package of files. This operating system has no news to disgust me, I have many years using this operating system and I really never had problems with that, whenever I have any doubts, have enough material on their website and support Group to manage to solve Fast and effective way. I recommend CentOS for its easy installation and implementation, for me is the leader of Linux operating systems, many brands or panels can certify as it is compatible with most free software that exist. With CentOS I have solved many problems of sales and I have always installed on my servers this operating system and from there part my company where I have installed CentOS Web panel is one of its wonderful programs of installation free. 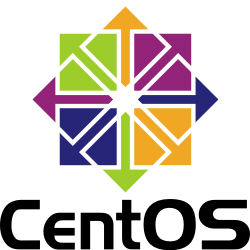 "CentOS meets the needs for basic Enterprise Linux"
CentOS is my OS of choice when working with traditional enterprise, web, and other application development. It is simple to build a pipeline of tools that are easily replicated to many systems in a medium sized enterprise technology department. I use it for my sandboxes and development efforts and even production instances unless some sort of indemnification is required. Working in the PHP, web, and Java space, CentOS handles all of my needs. Dealing with the onslaught of containerization technologies, we have found CentOS lacking in straightforward support of Docker, Kubernetes, and other container solutions. The networking stack is difficult to deal with in containers and the support for CentOS variants usually requires a bit of fiddling with 3rd party yum repos that leave administrators wondering if there are any security risks associated with doing so. If you are using CentOS to host traditional enterprise applications, Java applications, Web applications, or web sites, this is the correct tool. Do not use for building out an infrastructure for containers. We use CentOS to handle a variety of things such as: directory management, web servers, backend application servers, Java applications, PHP applications, content management systems, digital asset managers, proxy servers, infrastructure as code systems, source control servers, and countless other applications. "Reliable linux distro for hosting"
The consistency and compatibility of CentOS in the decade I have been using it for hosting cPanel servers is excellent and makes CentOS my first choice for LAMP stack setups. I am bothered the amount of packages that are made with simple installation scripts for Ubuntu but require more configuration on CentOS setups, although this is a problem with the linux community and not CentOS itself, I think there could be more additions to the CentOS repositories to have these easy setup options available for some packages. "The best enterprise operative system"
services, for example Apache2, mysql, postgressql, lampp. Also includes a complete firewall incorporated in the core of OS and its easy to configure. It's a server operative system, and is not suitable for use as a desktop operative system. Use CentOS it's the same as use RedHat, without paying anything but with the same support and comunity. CentOS allows me to run my codes in a efficient server, and allowing other to access and run inside it. "Main OS for critical systems"
This distribution, is maintained by the community, but has the stability and performance that RedHat give to us. Very usually there are new releases, including newest hardware support. The best alternative for use in servers, instead of Ubuntu, SUSE and others. I use it as main OS in all production and testing servers. GIves me safety and stability with good performance. I'm not a big fan of some of the new things in CentOS 7, but I'm getting used to them. In my opinion, Linux is about 60% what you as an admin prefer and 40% about the flavor of Linux. In a broad sense, I haven't yet found one thing that one flavor of Linux will do, that another one can't. I've used Ubuntu, Debian, Arch, RedHat, AIX, HP-UX, and a few other *nix O/Ses, and I prefer CentOS over all of the rest. Yes, RedHat and CentOS are basically the same OS, I just have a need that requires me to pay for RedHat support/updates. CentOS provides a predictable Linux platform that is easy to deploy. The documentation available on the internet for CentOS makes it easy to hand off to other people in my organization. "Best to use when you can't buy RHEL and a temporary alternative"
* Easy to install and use, but still get the benefit of RHEL. * Use the HW recommended and you can keep it running for long. * If there are issue, the fix takes time , due to their release cycle. Otherwise i dont see a problem. If you dont have a way to buy RHEL, the centos is the best one to use. You have security like TLS now. Also you can use for virtualization and hyper visor as well. Just have enough memory and disk space that is required for your virtualization. Simple to install and easy to use. Very fast and you can feel it when you use it. Also there are multiple open source software that you can use like Apache Web server, FTTD, SQL etc. You can just use yum install and install whatever is necessary. The software update, security update will not have any problem and the user should be able to get it. In general, CentOs has very less bugs and stable. These days you can report the bug to mail id ( dont remember now). Only disadvantage is the bug fix may take time to get as the release patter is once in 10 to 18 months. Well, not necessarily me but when budget is a problem, organizations use this in test/production environment. So for small/startups this would help. I like that it is basically the free version of the long-famed Red Hat Enterprise Linux operating system. It is nearly a one-for-one feature match, without any of the cost. CentOS is a LInux based operating system. So it is not for the faint of heart. It can be a beast to manage and you really need to know how to work at a command line. Any server worth its salt will not have a graphical user interface, rather just a command line for multiple reasons. Use SELinux to secure the server environment if your CentOS computers are going to be public facing. Also, be sure to follow best practices when configuring your servers. We use CentOS linux servers to host some of our customer-facing websites. "CentOS is selected by MyNew Technologies as a stable operating system on Linux platform"
We've been using using CentOS in our LAMP environment for over 10 years. Security is top-level. Patches for compatible modules and lightweight kernel makes it a very fast system for MySQL databases and Apache web server. Since it's inception, the security of the OS often gets comprised by advanced hackers, but CentOS engineers does a great job in providing security updates. We have limited hardware to operate dozens of web and database applications, CentOS provides multi-level CPU processing like mid-range computers, such as IBM's AS/400. "The best open-source distribution for production environments"
With this distribution, you have the performance and stability that RedHat gives us, but with the "flavor" of opensource. The pace of updates is correct and sufficient. We use it as the main operating system of the entire farm of servers, in most cases as a virtualized OS on XEN. It gives us stability and safety for more than 6 years. "Best for stable parallel processing"
It worked best while i used it to run Hadoop. It is quite stable and can be run for longer periods. It is best for off-line processing and data management among different clusters. It has really steady security fixes. It is suitable for beginners due to its user friendly interface. Centos is not suitable for client side working. It has a better capability to be run on server side. Latest releases are not available on time. Its update is quite slow so this area also needs an attention. I recommend to use this on server side. If you don't want to spend money on security as most Linux versions are likely to be secure. Therefore, in case of windows server, one has to install anti virus which is an additional cost. As it manages different clusters of data reallly well. Therefore, regrdless of the size of the data. It brilliantly does parallel processing for a longer time period. It's a stable Linux distribution that mirrors the RHEL distribution, but without the subscription requirement. For most applications this is completely acceptable - you don't need anyone to call for support, because it just works. Following the RHEL platform means that it supports a wide variety of applications, and has a long lifecycle. As with RHEL, it tends to lag behind in versions and updates, because it focuses on stability over bleeding edge features. Periodically this causes problems that require going to another distribution to overcome. Generally works just fine - there's not really much to say, here. Occasionally you'll run into applications that are not supported on it and are only supported on RHEL (Docker EE, SAP). These applications will probably run just fine on CentOS, but if you call to get support for the application and they see you running on CentOS, they may push back. You just have to be ready to prove that whatever issue you're having also happens on RHEL. We're reducing operating system subscription and licensing costs, but maintaining stability and performance. CentOS has allowed us to accomplish this. * It is one of the most intuitive operating systems when writing codes. * It contains a good graphic environment. * Use commands to update and execute any application or tool. Streamline the processing of information at the level of coding since it is used for updates or executions of certain software. In addition, in some occasions, the installation of CentOS in virtual machines (depending on the executing software) gives errors which hinders the process of the practices or use of them. Additionally it is a good way of doing business since usually the support services for this system are usually very lucrative. The realization of file servers through Samba in CentOS. In addition, at the business level, the support and configuration part of this system is very lucrative. "A top notch operating system at a low price"
It is almost an exact clone of Red Hat Linux. So you get everything you would if you paid the price for a Red Hat License. However, it is free. They don't have x86 versions of the distribution another. Which is a trend will all operating systems, but still I have a few cases where the x64 version will not install on the hardware I have. It is too easy to try this product out. It is free. It is easy to download from the web. And it will install on almost anything. If you are thinking of switching to Linux this the platform to try out first. In my particular case I use CentOS as my testing platform for ideas that we might end up using in Production at work. At home, I use it to keep my Linux skills fresh and to practice for certification tests. "CentOS + Genomics' Research = Not So Fun"
This Linux OS is basically a rock solid system for business enterprise type of capability. It is scalable, provides a robust set of features and after the environment is setup, there is not a tremendous amount of maintenance necessary. The configuration of this OS is quite painful. Documentation is pretty sparse and you have to rely predominantly on what can be searched via forums. What normally would take me a afternoon to setup with a competitor's OS, would normally take me 2 days. Repo's are hard to work with too and it is a general chore to setup. It really depends on what is trying to be achieved. They are plenty of platforms to consider. Ours was trying to develop a in house cloud based computing and liked Cent's expandability. We explored other options too like OpenStack and even Red Hat. We utilized this OS to store large sources of genomics data and then use that information with machine learning. Maybe that is why it took some time to setup and work with because my lab was use to a different OS and our lab director decided for better stability and version control to work with Cent. "CentOS is a great pick for a stable server for small-medium business"
CentOS combines the best parts of an Enterprise-level Linux-based operating system (repackaging the Redhat Enterprise Linux Open-sourced pieces) and providing it free of charge without a subscription. I've used CentOS since CentOS 5, and have been using it daily for servers running Samba and the like since 2012. I've since migrated those servers to CentOS 7, but the stability really can't be beat for the ease-of-use. Support for products are also very solid for CentOS, due to the alignment and source-compatibility with RHEL. The same can be said for Debian, however I'm also a very big fan of the YUM package manager, which seems to help with dependency-resolution a fair bit better than apt. EPEL is also a huge benefit to CentOS and RHEL. EPEL is software packages and extensions that provide updated/extended functionality over what is provided by default in CentOS. This allows being able to have newer versions of software installed without having to compile or download untrusted software from the Internet. EPEL forgoes some of the ultra-stable packaging CentOS is known for (sticking to older releases of software in order to not break compatibility), while gaining a very wide assortment of software that wouldn't otherwise be available. Sometimes driver support is lacking, since the kernel versions being used tend to err to the 'oldstable' spectrum. Also, i'm not totally convinced that XFS/BTRFS is ready for the enterprise, as I've experienced issues with BTRFS snapshots in other Linux distributions (such as SLED). Sometimes as previously mentioned, packages are sometimes not updated as frequently as I'd like (this is done to preserve a cohesive environment and inter-operatibility between systems per release), but this is somewhat mitigated with EPEL packages. I needed a stable system to provide Samba4 AD controllers for small business. I was using Fedora 14, when I realized support for various required systems weren't going to work (such as Quickbooks Enterprise), so I switched to CentOS, which has proven to be a very-wise choice. I virtualize several servers with XenServer, and have been very pleased at the ease-of-deployment and setup that is required with CentOS. "CentOS - great old standby"
CentOS works with RPM and YUM and a lot of legacy software. For command line use it is fast and easy. For graphical use (X-Windows, etc) there are better solutions on the market. Updates can be slow in coming out. There was once a gap of over a year. It is much more regular now and seems to be likely to continue in foreseeable future. It is best to consider your requirements when choosing a Linux flavor. CentOS meets my needs for LAMP stack configurations but not so much for other needs. Mainly hosting requirements. CentOS works well with a LAMP stack configuration but can be somewhat difficult to reconfigure to other needs. One thing though is it has always been possible to do, just not easy. Other solutions that CentOS has provided include SAMBA services and other terminal type applications.